Our experienced staff is ready to help you with your various doors or gate system needs. Please take a look at some examples of our installations. Van’t Hof Door was founded in 1947 by the late Harold Van’t Hof. 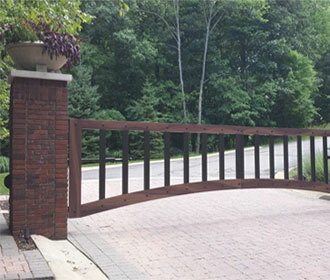 In 1978 we began installing gate systems and since then, owner David Van’t Hof along with his knowledgeable staff has been providing quality service in residential garage door/operators and motorized gate systems to satisfied Michigan customers. We have established relationships with all of our manufacturers and suppliers to better service our customers.